Coming back from Shot Show 2015 speaking to my partner one thing was clearly evident while 2014 may have been the rise of the woman shooter 2015 was going to be the continuation. Heading out to public ranges since I have been nothing but pleased by the large amount of women shooters who are actively training and working at the skills behind responsible concealed carry. 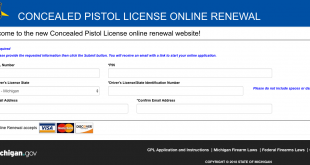 What good does an increase of 134% in female CPL licenses do us for Michigan women if they are not trained. Now Laser Ammo has partnered with The Well Armed Woman to create a great raffle. Proceeds will be used by The Well Armed Woman to offset training courses and range events for local chapters around the country. Dry fire training technologies company, Laser Ammo USA Inc, today announces its first “Ladies’ Month” promotion benefitting The Well Armed Woman Shooting Chapters, a non-profit organization that coordinates local gatherings of female gun owners across the country. Supporters of Ladies’ Month can participate in a grand prize raffle that includes giveaway prizes worth over $1,800 from six shooting industry companies: Charter Arms, SCCY Industries, Girls with Guns, CrossBreed Holsters, The Well Armed Woman and Everyday Holsters. Participants can gain entry into the Ladies’ Month Raffle via Laser Ammo at http://store.laser-ammo.com/twaw-raffle.html by donating $5 for 1 entry, $10 for 3 entries, or $15 for 5 entries for a higher chance to win. Grand prize drawings will be held May 7 and winners will be announced on the Laser Ammo Facebook page. Prizes are subject to change or additions. In addition to the giveaway prizes, many participating companies including Laser Ammo are offering month-long discounts on select products for those who donate to the Ladies Month Raffle. Raffle proceeds go directly to the Shooting Chapters of The Well Armed Woman, a non-profit organization. 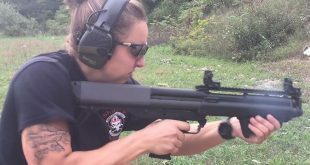 The Well Armed Woman Shooting Chapters is one of the largest communities of female shooters in the US with over 6,000 members and 200 local chapters. 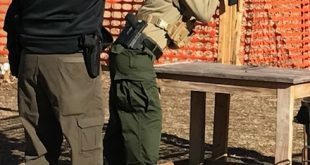 The chapters exist to provide a medium for women of any skill level to meet and be introduced to important issues like safe gun handling, training, and defensive techniques. Laser Ammo Ltd. develops and sells firearms training products for civilian, law enforcement, and military markets. 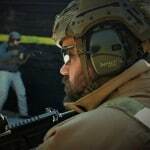 Owned and operated by former Israeli and US military combat veterans, Laser Ammo is dedicated to providing serious training for serious professionals or beginners alike. The Laser Ammo family of products allows operators to utilize their specific weapons platform, ranging from semi automatic pistols or rifles to airsoft or recoil conversion systems, for advanced dry fire training. Learn more about Laser Ammo at http://www.laser-ammo.com.